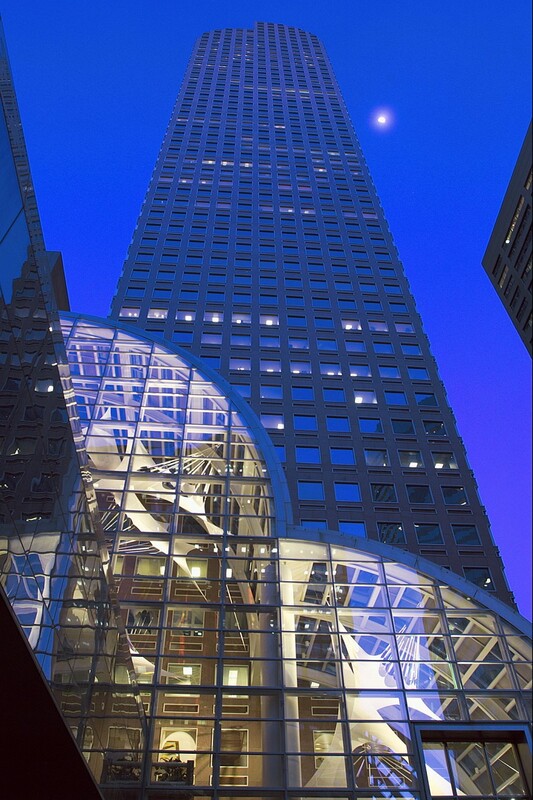 Denver’s Wells Fargo Center was designed in the late 1970’s by renowned American architect Phillip Johnson. 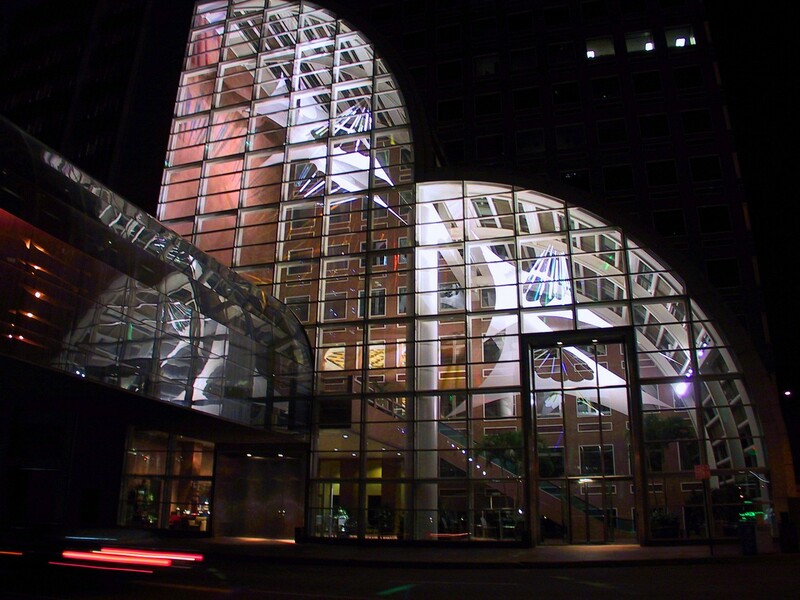 Although completed in 1981, the lobbies and atrium were never completely finished due to a severe downturn in Denver’s real estate market. 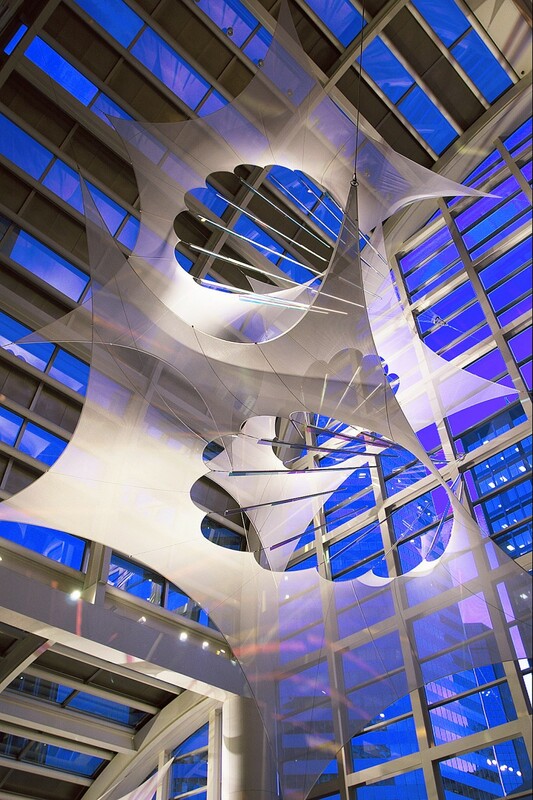 In late 2001 Ed Carpenter was commissioned to create a sculptural installation for the 118 foot high double vaulted atrium. 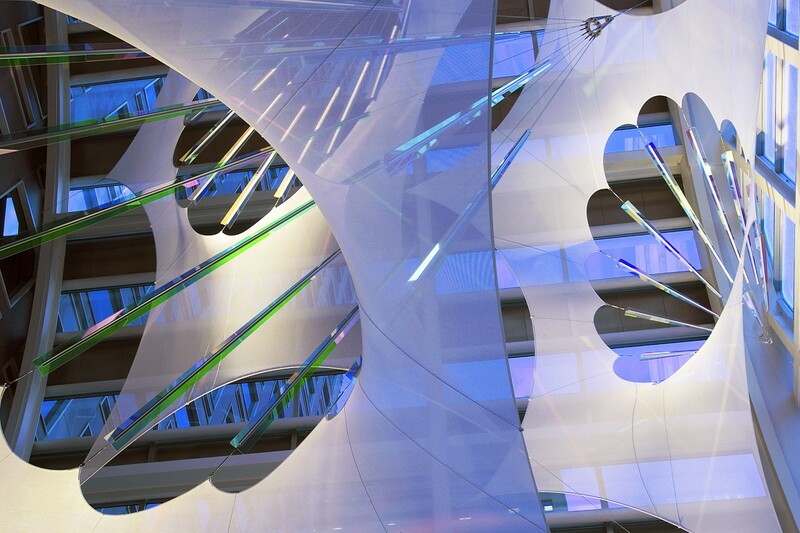 “Altaflora” consists of five enormous glass and fabric structures carefully composed to energize the space and interact with both natural and artificial light. 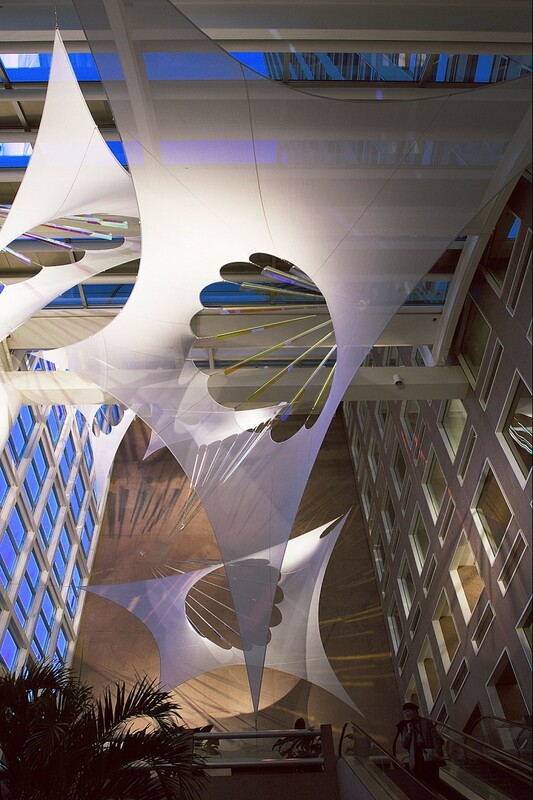 Their sensuous surfaces and transparency provide a mysterious presence and changing compositions to people moving through the building and for offices facing the atrium. 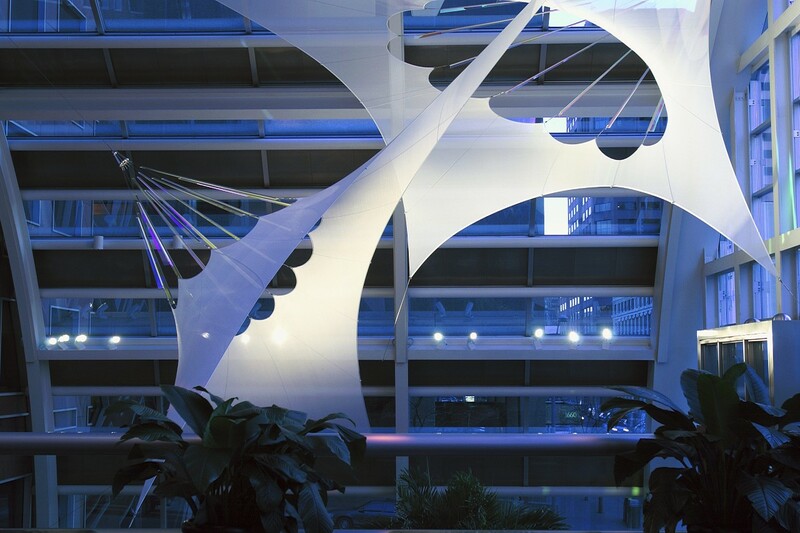 At night the installation is dramatically visible from the corner of 17th and Lincoln Streets outside. 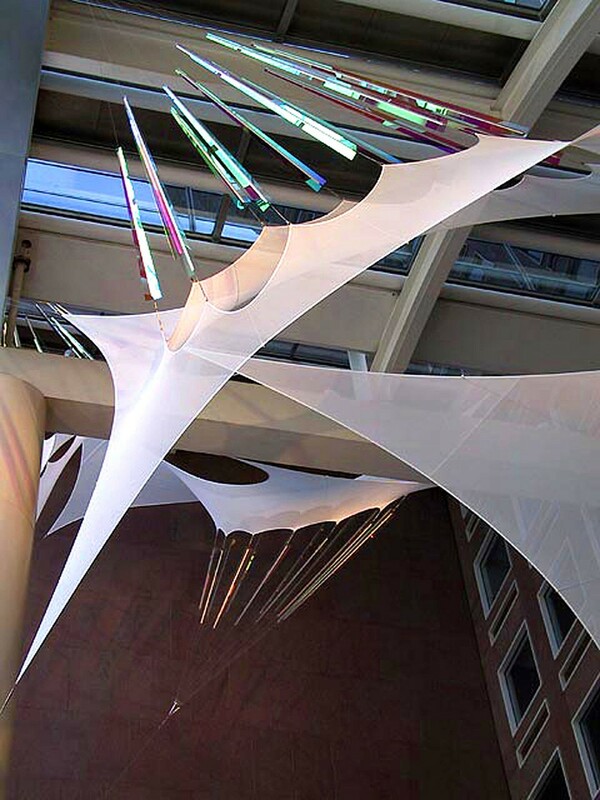 Carpenter collaborated closely with Charles Duvall of Duvall Design in West Rockport, Maine to integrate tensioned fabric into this installation. 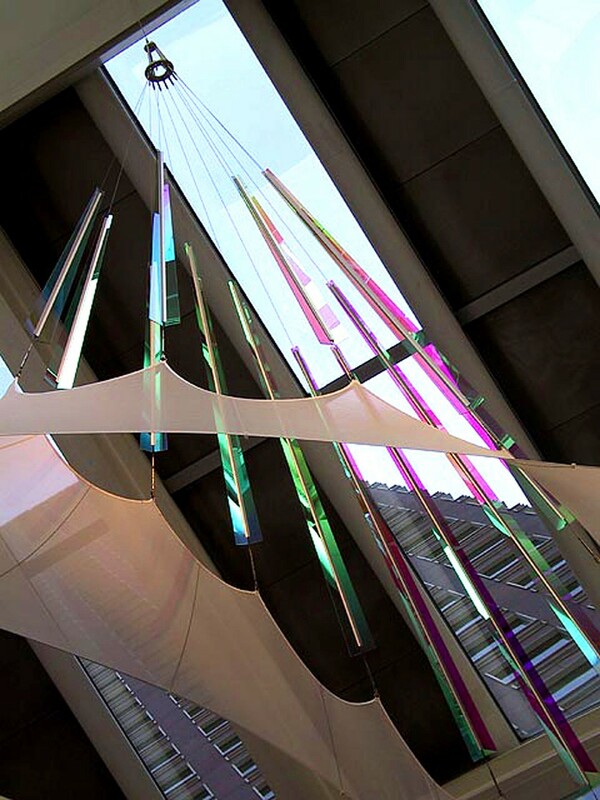 Materials: Laminated dichroic glass, mesh fabric, stainless steel cables & hardware, and aluminum.